This article was originally written during the recent 'dark time' when the MTGO community was in turmoil about recent issues and lack of communication despite a new MTGO team. This article was prepared at that time but was not submitted to allow time for things to work themselves out and see where we ended up. Things that have changed since the writing of this article have been "*Updated*", respectively. Also, this article is the manifestation of many complaints and issues brought up by the community during that time. Not all of the below issues are shared by the author or even the community at large. The article is not the opinion or statements PureMTGO its staff or owners. The active MTGO message board community is concerned about the current state of MTGO. We all love MTGO otherwise we wouldn’t take the time to be here. However is seems that our love has allowed us to be taken advantage of. 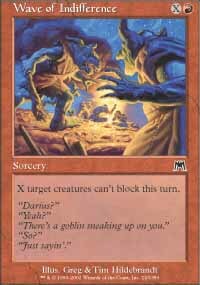 Our desire to keep MTGO alive is being abused and neglected. So how did we get here? For those who are interested in the past of MTGO and why many are concerned about the current state of MTGO, they should read RoaringPossum’s excellent culmination of events titled: The Compleat History of MTGO. It is truly a fantastic bit of reading. In summary, we've had numerous set backs with 2.x since its inception. The 2.x client/server architecture is starting to show its age and flaws more and more. Now that we’ve briefly gone over where we’ve been, we should look at where we are now. Betrayed trust. Based on purported enhancements that are now either missing or deemed 'too difficult'. V3 has gone from being better than V2, to V2 with stability to less stuff than V2 and hopefully, maybe, enhanced stability. This series of events has left many in the community with feeling of betrayed trust and destroyed confidences. If this were then only shortcoming in recent history we'd be able to overlook it. However, it is the icing on the proverbial cake. It is the last straw. *Update* V3 has been put on indefinite hold. Many of the items mentioned by the community appear to be being worked on which seems to have bolstered trust in the management of the project to do what is right for the community. Concerns about leadership of the project. It has been stated that there is no 'one person in charge', which may be part of the current issues that the V3 project is facing. This lack of accountability means that no one is responsible for making the hard decisions, or for facing the music when a hard decision has been made. For example, there's no one behind the scenes keeping track of what was and wasn't promised for V3. Meaning that features can and have been cut that were promised in the past and no one is there to say: "hey, we promised that would be in, go fix it!". Lack of compassion from MTGO management. It *feels* to us that we are being ignored and patronized at this point. Our feedback is being met with repetitious statements. Our hard work of beta testing and providing feedback is sometimes met with dismissal. *Update* The MTGO management has recently been extremely active in the community. This is a great step forward and I hope that it will be continued for the foreseeable future. Thank you Worth. Community Dependence. 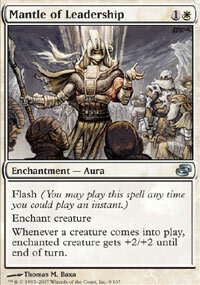 The MTGO community has provided countless hours of free work for Wizards of the Coast. We have taken on many projects, projects that should have been funded and accomplished by WotC themselves. Items like the FAQ, State of the Program, Technical Support, and even how to start the game are being provided by the players instead of the company. With more and more card sets being release on MTGO we’re seeing more and more bugs slipping through the cracks. Now you may be thinking “So what?” I see the impact of bugs as one of the top two biggest issues* facing the future of MTGO. I guess I should define my terms first, so that we’re all on the same page. I define a bug as any difference between MODO’s Magic Online Digital Objects and their paper counterparts. For example, there was a bug with Power Conduit that would cause the game to crash and exit completely. This is obviously a bug. 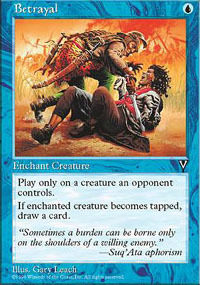 I’ve never heard of an opponent flipping over the table in response to a player using Power Conduit, which would be the equivalent of what was happening on MTGO. Each and every time one of these bugs comes up, MTGO loses a little more credibility. 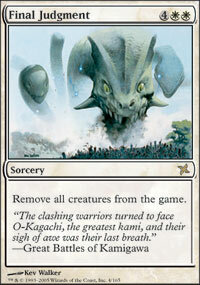 Each and every time one of these bugs come up, the end of MTGO draws nearer. If players don’t trust the software, then the players won’t use it. There have been times that certain bugs have stopped people from playing altogether. A bug with Mausoleum Turnkey made it so it wouldn’t return a creature from the graveyard. I subsequently stopped playing Ravnica drafts and leagues entirely at that point. If I can’t trust the software to do what it’s supposed to do, I’m not going to spend money on it. 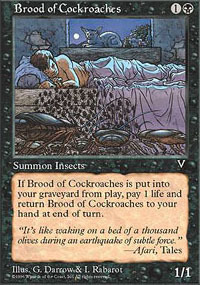 This was not the first game impacting bug that was discovered for Ravnica cards, but I hope that it will be one of the last. If the software doesn’t do what it’s supposed to do, the players won’t use it. We currently are very rarely impacted by this; however, as MTGO gets more and more cards arbitrarily large (or ‘infinite’) loops will increase in viability. That’s a bad thing for MTGO. As it stands now, the system cannot handle even the most basic loops, let alone any loop with complexity. This in turn causes certain paper decks to be impossible to run online within the time of the chess clock. As more and more decks become nonviable online the confidence and trust in the program will dwindle. This is why for each bug that impacts a user on MTGO that’s one more nail in the coffin. I’ve tried to think about what is causing these issues. What I believe, is that the programmers are currently overworked. Bugs are slipping through the beta process and can last for months before being fixed, if it is fixed at all. 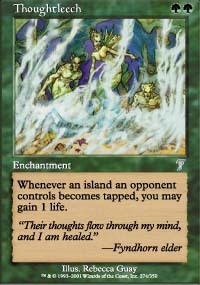 And when they are fixed they often cause other cards to stop working correctly, such as the recent Power Conduit ‘fix’ which in turn broke other cards. Altogether those things make me think that the staff just doesn’t have the time to properly do their job. Don’t get me wrong, I think the staff is trying, and doing whatever they can to make the game the best it can be. It simply seems that by the amount of bugs make it through to the production client, that something must be amiss. It is possible that the addition of V3 beta has overstrained the staff, or it could be the culmination of a flawed rules engine, or it could just be due to difficult mechanics in the recent sets. I don’t know what has caused the recent increase of bugs slipping through, but there are many more bugs that are being discussed on the message boards, and are impacting games on the live server. To help MTGO I implore all of you to report any and all bugs you find. Any glitch you experience, any bug you see or witness, click on the ‘Report a bug’ button that scrolls by in the bottom left of the application. Then bring attention to the problem onthe message boards. 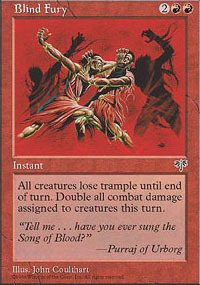 Loss of any users due to bugs not only decreases the user base, but also creates vocal opponents to new people joining MTGO. The previous MTGO staff has more than once blindsided the community with changes to policy and features. *Update* This seems to have subsided greatly, with the recent exception of the Gleemox distribution. However as the intent of Gleemox was to not be announced I can't hold that against them. Redemption changes. On June 28, 2006 we were informed the redemption would be turned back on in less than 24 hours. However there would be some changes. Namely that each set would be charged the full rate. *Update* The warnings and communication for this have greatly increased recently. V3. V3 has gone from “It will be amazing” to “It will be the same as V2, but more stable” to “Umm, less stuff than V2 but we’re pretty sure it will be more stable”. This regression of expectations is another piece of the anger puzzle. *Update* According to this post: http://boards1.wizards.com/showthread.php?t=860574 the UI of the Client will see some sort of update. We still don't know who is in charge of the entire project. So here we are, at the verge of anarchy. We’ve been through a great many things over the years. Stability issues, bugs, lost functionality, broken promises and no communication about massive infrastructure changes. I’d love to say that things are looking up. I’d love to say that we are entering a golden age of the MTGO world. But we aren’t. We have no indication that anything listed is getting better. Bugs are still being ignored. Redemption is still outlandishly priced. We don’t have any idea what the long term plans are for MTGO. We don’t even know WHO is in charge of critical projects like V3. *Update* The anger seems to have greatly died down. People are still communicating with the MTGO management in the hopes of making MTGO better for everyone. MTGO Management has been active in community feedback. What happens now? Where do we go from here? What can we do? *Update* Things are indeed moving forward. Management is more involved, a second position is being added to help with the load of the Liaison and bug fixes are being focused on. I think we are indeed getting through the anger and frustration that we experienced during the time this article was written. We still have a long way to go and many miles to go before we sleep, but I think the staff has shown that they are willing to make that journey. When this article was written the attitude of the boards was angry, frustrated and quite acidic. That has subsided through continual interaction with the staff and acknowledgment of our concerns and frustration. I would dare say that the amount of money wizards gets from MTGO is sick already with out charging higher rates for redemption, and allowing bugs and customer service to go down the drain. My Foil Cabal Coffers have been regular coffers now for almost a month. I reported the bug, and got zero response other than a form letter. I have to say that MTGO is the only place Ive ever paid full price for booster packs. Between the cost and over zealous adepts i can see alot of people off the online version. Good article. I like how you incorperated the cards into the article. I hope things will get better as well. I would like to think that finances are the issue for not having a bigger staf working on issues. I mean with no monthly access fee like some of the bigger MMOPRGS, I can't se a lot of funding for the game. I would have to think they are relying on other products rahter then MTGO indipendantly. But I am probably wrong. I'm sorry, as I know you obviously put a lot of work and thought into this, but this article is a mess for anyone who isn't already very much in the know on these issues. You mention many problems, but too often, you don't make clear exactly what you're talking about. You also would have been better off just completely revising the article to make your points up-to-date rather than patching up out-of-date references with your "Update" comments. You say "Based on purported enhancements that are now either missing or deemed 'too difficult'. V3 has gone from being better than V2, to V2 with stability to less stuff than V2 and hopefully, maybe, enhanced stability. This series of events has left many in the community with feeling of betrayed trust and destroyed confidences." But you never clarify what these enhancements are or what happened to them. You say V3 has been put on hold, but don't cite any source verifying that. The official launch info page currently says that the launch is almost here. I don't doubt that you're right, but you need to clarify where you got your information. You mention Gleemax distribution, but don't make it clear what you're talking about. They are running a skeleton staff for 2.0 and have even told us why they are doing it. The idea was to divert most of the resources to 3.0 in order to speed it up it. Seemed like a great idea! Unfortunately this has backfired horribly. Not only has 3.0 gone years past the expected delivery date, 2.0 has probably suffered much more than it should have. At this point, it won’t make fiscal sense to re-staff 2.0 so I doubt anything is likely to improve. I have to admit that the article is targetted towards those who already know a bit about the situation. Much like PDC article assume that people know what PDC is when they're writing about the meta game. Although based on how spread out the information is it would have been a good idea to at least link the information that I mention. For example: Beta testing really dissapointed me... the problem was.. there was SO many bugs... i couldnt test! some cards couldnt been played at all... c'mon.. who releases a beta like that? I havent lost my hopes.. but im kind of dissapointed.. as i KNOW things could be a lot better..
Erik this one is a perfect article. Very informative for players like myself who rather choose not to get involved in all that hustle going on in the WOTC forums. Perfectly written. I want to thank you as a MTGO player for this article. I have been mostly an observer to the trials and tribulations recently, not an active member. I want to applaud Eric for all at once being critical, fair, and praising, all when warranted. I want to thank the vocal members of the community for stepping up, and for the "new staff" at WotC as it were, for heeding the call. Hopefully, things will continue to get better, and Gobhobbler Rats will be fixed soon. This was perhaps my most revised article ever. I feel that I captured the spirit of the past as well as the current spirit of the community between the original article and the updates. While I was writing it it reminded me of the song Adam Sandler sings in "The Wedding Singer"... "it's sort of uneven" kind of sums up the before and after of the article. "I'm on my knees!!! Pretty pretty pleeaaasseee!!!!!" heh. I wanted to show that things seemed bad when it was written and that things have indeed been progressing. It sort of puts things into perspective. 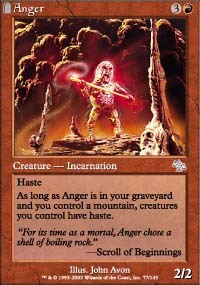 Things seemed like the end of the MTGO when they were happening, but in retrospect it wasn't as awful as it seemed.